Who do you think deserves the 5 Star treatment? A single beauty treatment can build your confidence and help you to feel fantastic, but if you are ready to really indulge, our beauty packages provide excellent value. Our beauty packages have also proved a popular gift for Mother’s Day or a special Birthday treat. View our our beauty treatment otpions and prices here. The perfect preparation for an important event, this package includes a Blow Dry in our hair salon, Gel Nails and Individual Lashes. 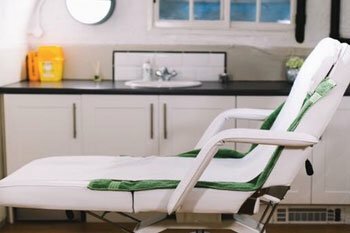 Unwind with a Full Body Massage and Prescription Facial, followed by a Medi Pedi and Jessica Manicure and finished off with a Blow Dry in our hair salon. Let us help you feel fabulous with an Express Pedicure, Back Massage, Bikini and Full Leg Wax and hair salon Blow Dry. Friendly staff, great availability, good prices and an amazing haircut. Thanks for a lovely experience! Lovely clinic! So friendly and can't recommend Dr Rishika Patel enough, had previously been to London for my treatment but will be returning to Archway each time now. Good to find 5* service so locally and a big saving on London prices. 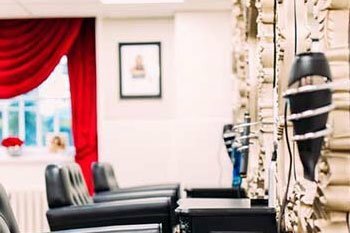 Beautiful unique salon and welcoming staff. I had cluster lashes done and they are the best set I've had so thank you! Will definitely be back for more treatments! Get ready for the big day with our head to toe package. This includes a hydrating Facial, Sienna X Spray Tan, Jessica Manicure and Express Pedicure. All wedding packages will be given exclusive use of the hair salon. The core package is detailed and for an additional charge we can provide optional extras including Make Up and a Photographer.